In general, the audits will be conducted by auditors who are registered as APIC certified auditors. APIC certified auditors will undergo extensive training programmes and have to verify their professional experience. 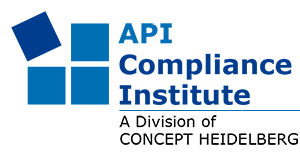 The API Compliance Institute maintains a register of certified auditors who are allowed to conduct the audits within the framework of the "APIC Audit Programme." If you would like to know in detail how to become an APIC Certified Auditor, please click here.